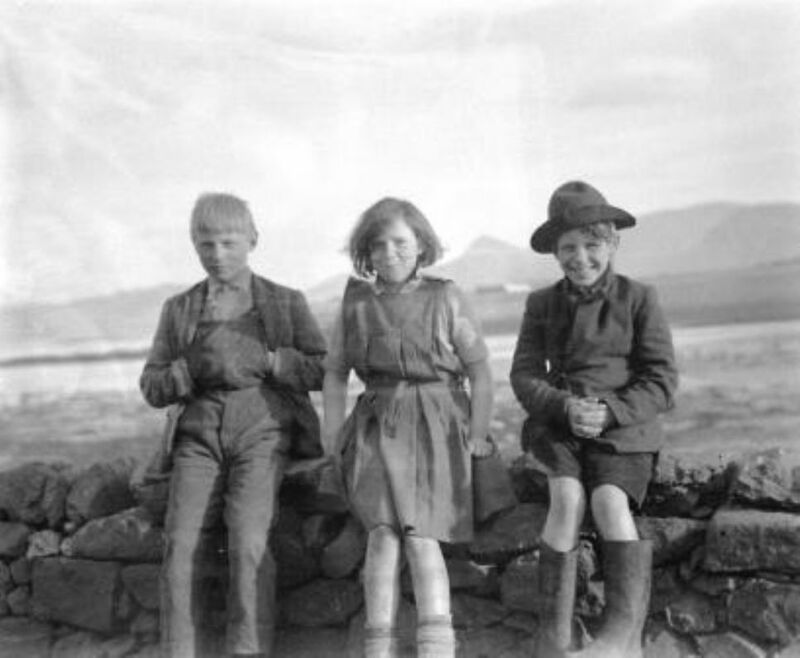 In the chapter inserted at the beginning of recent editions of John Lorne Campbell’s historical account of Canna, the authors from RCAHMS remarked upon the paucity of information in official records on the archaeology of the island until their detailed survey of the island was carried out. Following a whistle stop visit during 1925 - for the purpose of compiling the Inventory for the Outer Hebrides, Skye and the Small Isles - only nine sites had been recorded, until the record was expanded in the 1970s by a small team from the Ordnance Survey. The list in 1925 had included the more obvious of the monuments on the ground, including the defensive sites and the principal early Christian monuments, of which the significance of the carved cross at Keill had long been recognised and had been recorded already by antiquarians. Few were prepared for the outcome of the extended survey which accounted for a vastly expanded inventory covering around 400 sites, and at least 1,000 individual structures. It was not just that the list had been extended, but an understanding of the significance of the date by which Canna had been colonised had to be changed quite radically. The authors argued that, given the evidence uncovered on Rum as recently as 1983 that some of the earliest inhabitants in Scotland had been active there by the Mesolithic era (from around 7,500 BC), it should be expected that the adjoining island of Canna had been similarly occupied at this time. The Mesolithic tribes were hunters, fishers and gatherers, and are thought to have occupied the territory from the south. They were nomadic, living in camps, following the herds of animals as they sought verdant pasture in post-glacial age. This lifestyle persisted for around 4,000 years, and was replaced when farming was introduced. Cultivated crops became part of the diet, which was supplemented by the produce from domesticated animals. Pottery was unknown previously, replacing vessels of leather and wood for the storage and transportation of cereals and liquids. On Canna there is conclusive evidence of settlement by farming communities on the upland plateaux during the Neolithic era (4,000-2,500 BC) verified by the regularity by which sherds of broken pottery have been thrown up by burrowing activity adjacent to the earthen mounds. Colonisation of the upland areas at this period is considered unusual, and has to be set against the expectation that Neolithic settlements in the Hebridean islands would normally associated with the machair of the coastal fringes. Other structures have proved more difficult to date, but are likely to belong to this period also. Later structures within the landscape can be dated more robustly. There is strong evidence of established farming settlements in the early Bronze Age around the turn of the 1st millennium BC, once more to be found scattered across the upland plateaux where the remains of hut circles can be seen. Perhaps even more remarkably, there is surviving evidence of field boundary walls from this era consisting of large boulder stones striding across the upland landscape. Accordingly it has been claimed that this is one of the most extensive and least damaged archaeological landscapes from this era to have been discovered to date in the Hebrides. Given the fertile soil of Canna, and the relative accessibility of the islands to settlers, it is hardly surprising that there should be evidence of a number of defensive structures erected upon some of the least accessible pinnacles and sea stacks, with commanding views over the sea approaches. The survey team recorded at least four coastal forts, of which the most spectacular is Dun Chànna at the far western tip of Canna, although it is widely accepted that the inaccessible stack at Coroghon must have housed a fort of which the evidence may have been obliterated with the erection of Coroghon Castle at a later date. These structures are likely to date from over a period of 1,500 years to the late 1st millennium AD, and correspond to when established settlements were at risk of attack, and from being overrun as land ownership became a commodity in society of increasing importance. These forts signify the presence of an emerging materialistic society which was led by powerful individuals, whose communities were likely to have been involved in trading and in the exchange of gifts. For them accumulating wealth in both land and objects within their possession became of increasing significance. A shortage of land for cultivation with a growing population would lead directly to conflict, and it is not unreasonable to assume that from hereon Canna would have been placed under constant threat of invasion, a risk that surfaced again much later as the years of the turbulent sixteenth century unfolded. Further evidence of a structure from this era is the impressive souterrain with the two entrance chambers in alignment with one another on the elevated fertile plain to the east of Tarbet. The Canna Local History Group would like to thank ANDREW PK WRIGHT; OBE, BArch, RIBA, PPRIAS, FRSA, FSAScot. for his contribution to this text.